This product requires the base game killer7. 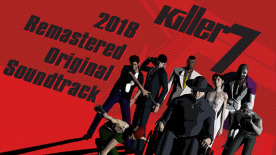 From rock to techno to jazz...treat your ears to the sounds of the indviduals in the killer7 and the world they inhabit with these 71 tracks. Remastered and overseen by Masafumi Takada.